Businesses can apply for relief through a competitive application process. Awards are discretionary and meeting the criteria does not automatically trigger relief. 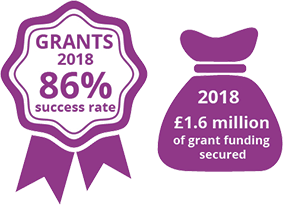 Local businesses with high levels of growth can apply for a grant of up to £150,000 over three years to help them expand into larger premises. Grants will also be available for companies looking to set up in the city or for firms aiming to develop vacant properties for business use.